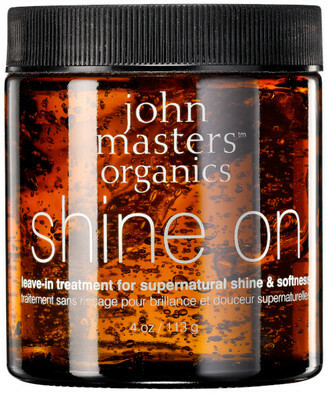 Nourish each strand from root to tip using the John Masters Organics Shine On leave-in treatment. The weightless, hydrating formula uses a potent cocktail of Sea Kelp, Beech Bud Extract and Carrot Seed Oil to replenish intense moisture to locks, helping to smooth the hair fibre and infuse a brilliant shine. The hair mask works to eliminate product build-up in order to lift and volumise hair at the roots and create a soft, sleek and super-glossy finish.